including soft drinks and a selection of draft beer from 6:00 to 7:30 p.m. The Extra Mile Education Foundation is committed to providing financial support to local urban children and their families who seek a quality, values-based education. 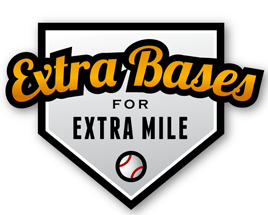 Join the Extra Mile Education Foundation Young Professional Advisory Committee as we host the seventh annual event for our Sponsor A Student fundraising campaign. Your ticket includes admission to the Pirates game, an all-you-can-eat buffet, drinks and networking with other local professionals. Each ticket purchased includes a donation to Sponsor A Student, representing an investment in Pittsburgh's future. Contact us at 412.456.3103 for details.